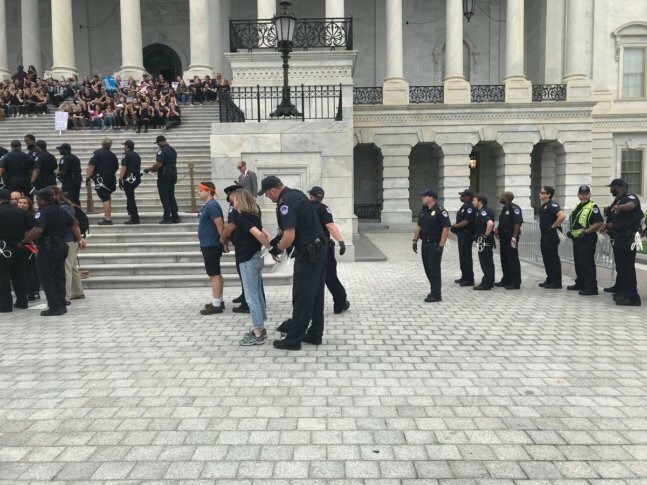 WASHINGTON — U.S. Capitol police say that they have arrested 164 demonstrators protesting the confirmation of Supreme Court Justice Brett Kavanaugh on Saturday for numerous instances of unlawful demonstration. The arrests are being processed off-site and the people are being released. Police say that the majority of arrests were made around 12:45 p.m. at the Rotunda steps on the east front of the U.S. Capitol. They were charged for crowding and obstructing. One adult female was arrested in the Senate Gallery in the United States Capitol Building for crowding and obstructing around 2:30 p.m.
Around 3:45 p.m., 13 people were arrested and removed from several Senate Galleries. They were also charged with crowding and obstructing. 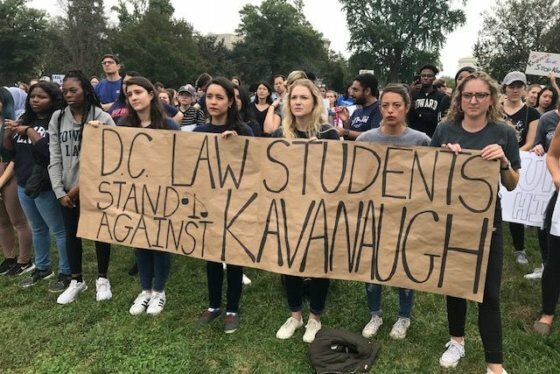 CNN reported that as of Friday, nearly 300 people had been arrested for protests against Kavanaugh’s Supreme Court nomination in the District. Protesters took to Capitol Hill Saturday urging Senators to vote against the nominee amid one of the most charged confirmation battle in years. See photos and video.